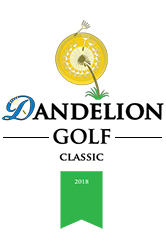 This year marks the 10th visit that Mitchell Owens, CEO of Arizona-based landscape company, CareScape, Inc., has made to Raising Special Kids to present the organization with the funds raised at their annual Dandelion Golf Classic. Arizona Business Bank has been the event’s title sponsor each year. This year’s donation to Raising Special Kids topped $50,000. The continued generosity of CareScape and Arizona Business Bank allows Raising Special Kids to reach thousands of Arizona families of children with disabilities, regardless of their diagnosis, through programs focusing on parent-to-parent support; special education information and training; health care information; and assistance with challenging behavior. 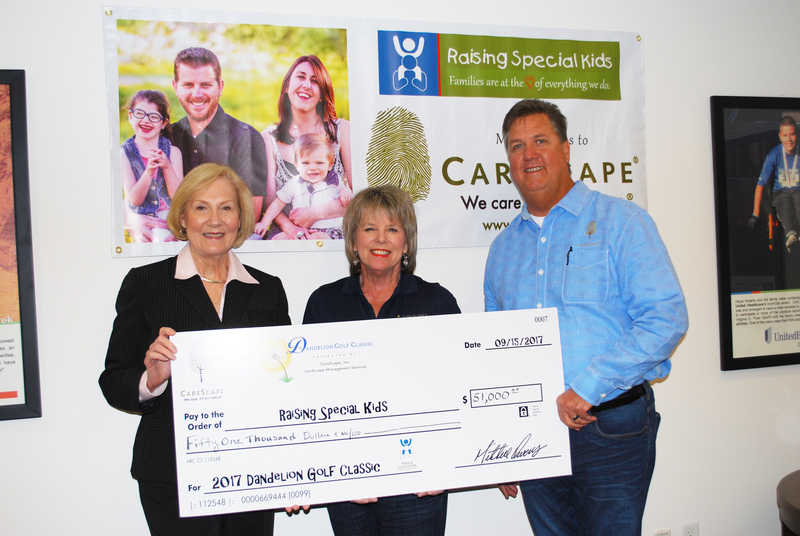 Owens and CareScape accounting manager Marcy DeChandt, made the check presentation at Raising Special Kids’ Phoenix office Tuesday, Dec. 19. On hand for the check presentation were Executive Director Joyce Millard Hoie, members of the board of directors, staff, and families who have received assistance from the organization. CareScape’s mission states ‘We take care of places so they can grow and stay strong.’ If you ask Raising Special Kids and families like the Michaels, CareScape delivers on its mission well beyond landscaping.